Clear acrylic candy displays show off your goodies! 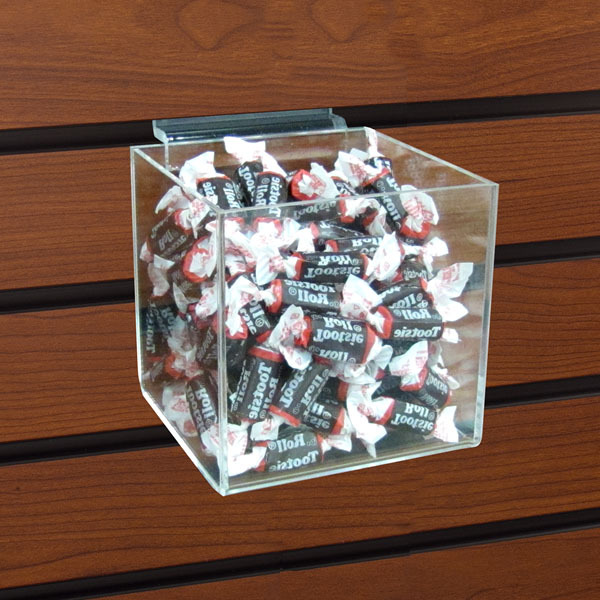 Combine these square bins with your other acrylic shelves to create your own unique candy display. These acrylic bins are great for individual packaged items, as customers can easily reach in and make a selection. Designed specifically for use with slatwall. For further options, we encourage you to take the occasion to look at our thorough collection of candy displays at Specialty Store Services now.